It took a year for OpenELEC, the super-lightweight Linux distro optimized to run XBMC on low-power HTPCs and embedded devices, to go from 1.0 to 2.0. It doesn’t look like we will have to wait nearly as long for 3.0. It has been barely a month since OpenELEC 2.0 was released to the world, and already the OpenELEC team has announced the release of the first beta version of OpenELEC 3.0. OpenELEC 3.0 is based on XBMC 12 “Frodo”, which itself just recently went to beta. Being based on XBMC 12 means that the next version of OpenELEC will support XBMC’s new AudioEngine for HD audio support, improved PVR support, and advanced UPnP sharing, the XBMC feature that will probably see the most improvement as it works its way through beta. 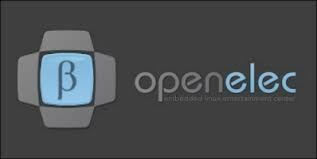 OpenELEC 3.0 will also be the first version to offer official support for the Raspberry Pi, joining a growing list of XBMC projects targeting the diminutive ARM system. With the XBMC team rumored to be targeting a December release for Frodo, perhaps we will see OpenELEC provide a New Year’s treat. Shortly after our OpenELEC 2.0 release we are proud to present our first OpenELEC 3.0 beta. With this new version comes many exciting updates. Based on XBMC 12.0 Frodo, OpenELEC 3.0 brings official support for our first ARM devices the Raspberry Pi, Linux kernel 3.6, improved PVR support and of course, the long awaited Audio Engine.